Are hoverboards safe? It is no secret that hoverboards were dangerous at some point. In early 2016, they made the news due to faulty batteries that caught fire and burnt down houses. This made it so airlines started to ban them. Airports in the US banned hoverboards due to battery malfunctions. Not unlike Samsung’s most recent smartphone scandal when the Galaxy Note 7s started blowing up. Why hoverboards caught on fire? The issue is that most hoverboards employ lithium-ion batteries, just like the ones inside smartphones and portable computers. These batteries are flammable, especially when exposed to constant bumping and high temperatures. The hoverboard craze started in December 2015, and that’s where plenty of new hoverboard owners saw their Christmas gifts catch on fire. At that time, most hoverboards had cheap batteries, sold to the manufacturer without a proper safety inspection. Most quality electronics carry a ETL or UL 2272 certification, but the first hoverboards did not. Now they are considered safer than ever, and most if not all hoverboards meet industry standards for safety of use. Do not leave the hoverboard charging overnight: Two hours is fine or whatever the manual suggests. It is also important to keep an eye on the gadget as it is charging. For additional safety, one should let it cool down after charging and also unplug the charger from the wall when not in use. Do not bump your hoverboard into obstacles: While it is also a measure to maintain your hoverboard’s integrity, avoiding bumps and collisions helps preserve the battery and prevent any damages. One should not jump with a hoverboard, nor let it drop from any height. Now, if we compare hoverboards to Segways when it comes to safety, both products have seen setbacks due to their security limitations. Just like hoverboards, Segway had to call back many of its scooters due to a design error in their chargers. It was a wire that would shock the user if it became detached. Nevertheless, there were only 33 injuries due to Segway use between 2009 and 2013, although officials believe that not every case is reported, as the company’s owner died after falling 80 feet while riding his motorized scooter. In conclusion, New hoverboards have the potential to be safer than Segways, although one must still wonder about the potential accidents that could occur while using one. In any case, the safety standard for hoverboards is the UL 2272 certification, and most modern hoverboards come with it. You can read more about the specifications here or order a UL 2272-certified hoverboard here. 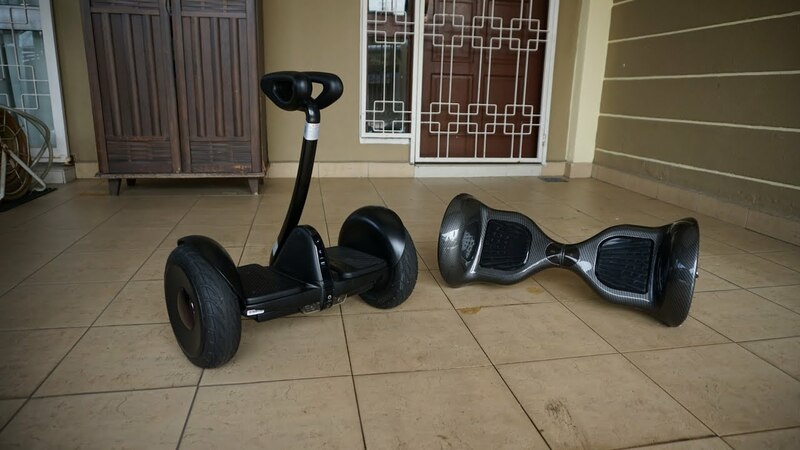 This entry was posted in Blog and tagged Hoverboards vs Segways, safe hoverboards, safe segways.